Stocked with an eclectic mix of mid century goods, kitsch, and vintage furniture, housewares, clothing, accessories and much more! The Friends of Art Bookshop is a non-profit organization created in 1968 to raise funds for student scholarships at IU's School of Fine Arts. Our mission is still strong, join us! Heather Givans under the pseudonym Crimson Tate presents: modern fabric goods in Downtown Indianapolis. Annual art and fine craft show featuring recycled and upcycled art, at The Commons in Columbus, Indiana. Beth Underdahl-Peirce, owner of Beth's Holistic Healing, is happy to say that after 6 years of practicing massage therapy has finally opened her own practice! We specialize in traditional bread and pastries from around the world. 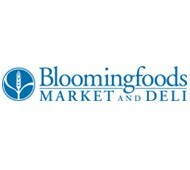 Bloomingfoods is celebrating 34 years as a community owned business. A group of people got together in 1976 and created a business that would have a local focus and bring them all the great food they could not find anywhere else. Homespun is a boutique and gallery devoted to modern handmade goods. We are located in the heart of Irvington on the east side of Indianapolis. We specialize in super hero birthday party favors and presents. Give a personalized / Custom Superhero capes to your superhero! We also make easy Halloween costumes. Venus is a lifestyle photographer in Bloomington, IN who Loves to capture those once in a lifetime moments with family and friends. In Case of Emergency Press is a Bloomington, IN print shop run by Jarod Isenbarger, specializing in t-shirts, album packaging, posters, and art prints. A store that has both the health of your child and the environment in mind, The Green Nursery is your one stop baby store. Complete with baby registry, wishlists, and tutorials! Visit our B&M in Bloomington, Indiana! Bloomington Craft Supplies is a local craft supply store owned and operated by two local crafters. Offering a variety of craft supplies in a convenient downtown location! Be a sponsor for the Bloomington Handmade Market! By becoming a sponsor of the Bloomington Handmade Market, you can help support local arts in your community and reach thousands of supporters of local, independent businesses. The Bloomington Handmade Market, now hosting its 8th event on November 19, 2013, brings together thousands of artists, crafters, designers, and other creative people. Artists and patrons come from all over Indiana, as well as Illinois, Michigan, Iowa, Ohio, Kentucky, and Tennessee to participate in our event! With each event we draw a larger crowd, and expect attendance to exceed 2,500 this November. As customers enter the event, each is offered a program as well as information, business cards, and brochures at our information table. Since its creation in August 2009, BHM has developed a loyal following. Customers at our events typically spend upwards of $30,000 over the course of the day. Before and after the event, visitors typically walk around Bloomington to see the sights, eat, enjoy coffee, and visit other local shops. Help us help you by sponsoring BHM and reaching out to our customers! We offer many tiers of sponsorship to work with any budget. Scroll down to see our sponsorship tiers, or feel free to contact us if you'd like a personalized sponsorship package. Send an email to sponsor@bloomingtonhandmademarket.com for questions or if you're ready to become a sponsor! Have questions? Send an email to sponsor@bloomingtonhandmademarket.com.